I have created a card for my SIL's 40th birthday, with limited crafty items.. Again with the help of my daughter who selected the papers for me (as I am currently staying with my parents in the middle of country victoria with no scrapbooking store in sight). I coloured Mo's digitial pencil - 'Sugar plum fairy' with my copics, added some stickles and pearls. Distressed the edges - inked with versamark bark. Apologies for the picture, but i don't have a camera cable so it was taken with my phone camera. 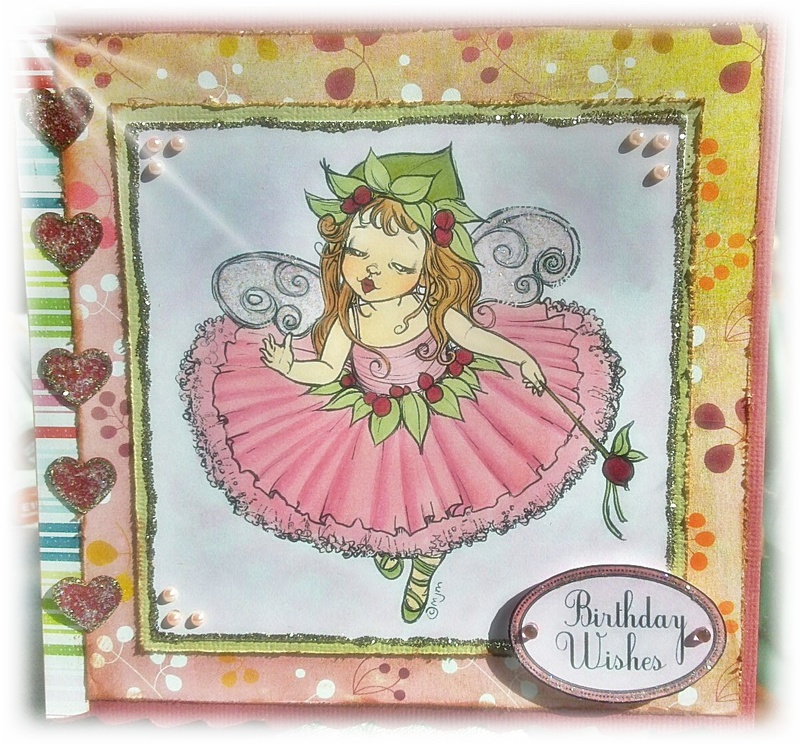 The background looks a bit dark, but was coloured with V000 - I think its the way the light has hit the card (sigh)..
Ohhh - nearly forgot - I am going to enter this card into Bizzy Becs October Challenge - girls and pearls. this is fabulous, thank you for joining us at Bizzy Becs Challenge..